Home nutrition What you Should Eat Before During and After a Workout ! 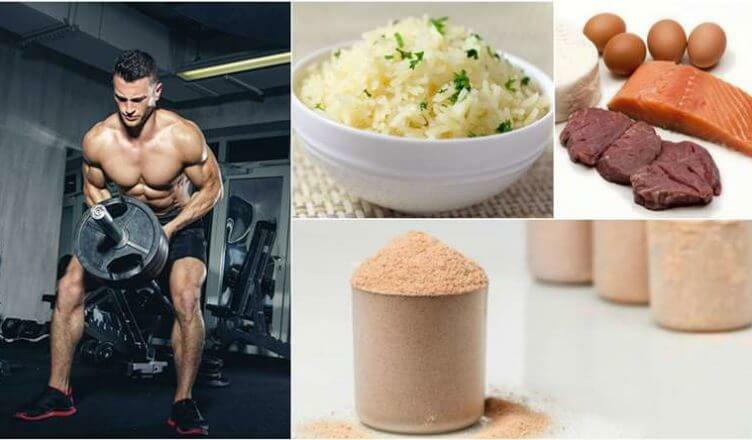 What you Should Eat Before During and After a Workout ! Most of us tend to completely forget about nutrition the moment we start enjoying our workouts and the sculpting of our body. By thinking that we deserve to reward ourselves for our hard efforts, we resort to instant gratification in the shape of unwise food choices and empty calories. But at the end, what kind of fuel we put inside our organism is what separates success from failure and you have the power to make food your best ally instead of worst enemy. One thing is for sure – no amount of sweat in the gym can erase the damage done by stuffing yourself with unhealthy food all throughout the day. And no matter whether this is your first time working out or you are an experienced athlete, eating the right kind of food will promote better training results, so here’s a very simple way to optimize your gains by making smarter food choices before, during and after your workouts. Do you want to increase your levels of energy and improve your endurance? Then carbs is the food you need to focus during your pre-workout meal. Your muscles will thank you for consuming plenty of slow-digesting carbs such as whole grain bread, pasta, yams and fruits and vegetables, with the addition of lean protein sources which stimulate greater muscle growth. This will ensure a slow release of energy that will help you power through your routine. Finally, for best results, you have to keep yourself well-hydrated at all times – drink plenty of water all throughout the day and make sure you have a big bottle of fresh water with you during your workout. Good hydration is crucial for athletic performance. In between sets of exercises, take frequent sips of water to retain enough fluids in your body. Try to drink 7-10 ounces of water every 10 to 20 minutes. Keep in mind that during exercise, you’re losing a lot of water due to sweating, so make sure to re-hydrate yourself as much as possible. If your workouts are especially strenuous and long, aim to consume around 50 extra fast-acting calories every half an hour, preferably by snacking on bananas, raisins or energy bars. The post-workout meal might be the most important meal of your day. Immediately after your workout, your overworked muscles are depleted of the glycogen which fuels their contraction during exercise and the body tends to enter a catabolic, muscle-wasting state. To prevent catabolism from happening and accelerate muscle tissue recovery and growth, recharge your body by consuming fast-digesting carbs such as white bread, white rice and potatoes and an adequate amount of fast-digesting protein in the form of whey protein isolate within the first hour after finishing your workout. It really is as simple as that! Start eating like this today and you’ll quickly notice great changes in your levels of strength and endurance during gym sessions, as well as your overall body composition. And never forget – great bodies are made in the kitchen!